Nature's Ocean has been manufacturing premium products for marine and reef aquariums since 1979, providing hobbyists and professionals alike with the means to establish and maintain beautiful, vibrant saltwater aquariums with ease. 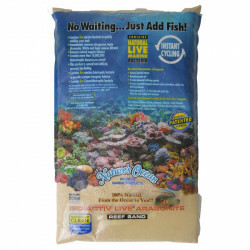 Their line of unique, innovative products includes the world's only patented, all natural live sand, natural LIVE ocean saltwater, and all natural base rock for establishing stunning coral growth in your tank. 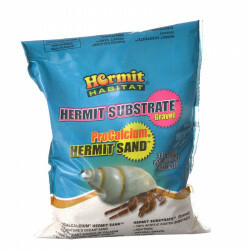 As one of World Wide Imports' family of premium aquarium brands, every Nature's Ocean product is backed by decades of research and development to provide unmatched quality. 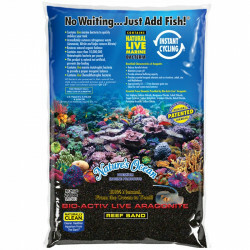 Nature's Ocean coral base rocks are authentic aragonite rocks with no live bacteria or coralline algae growing in or on them, to be used to cultivate live rocks and maintain live corals in reef farms, reef tanks, and fish tanks. 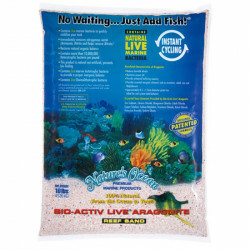 Nature's Ocean Live Aragonite Sand is naturally derived from the ocean itself, and is rich in nitrifying cultures that use natural processes to eliminate harmful nitrates from saltwater aquariums. 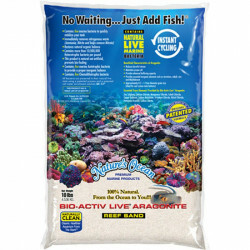 As with all Nature's Ocean aquarium products, it is naturally sourced, naturally effective, and naturally beautiful.